Russian as a Foreign Language Class was created for people with no previous experience with Russian and whose professional interests and family situation fuel their desire to learn the language. The educational course teaches how to speak, read and write in Russian while introducing students to the fascinating world of Russian literature, art and history. We have a proven method to teach you speak and understand basic Russian in less than two months! Call 858-779-4914, or e-mail info@sdrussianschool.com for more information. San Diego Russian School is now available anywhere anytime 24/7 at your convenience! Want to study Russian – one of the six official UN languages? Learn from our top-notch program and experienced teachers from within the comfort of your own home while enjoying the same quality education tuned to your knowledge, skills, and needs, that we embrace at our traditional school in La Jolla. These online courses incorporate high-quality interactive learning software and techniques developed over years of teaching experience. 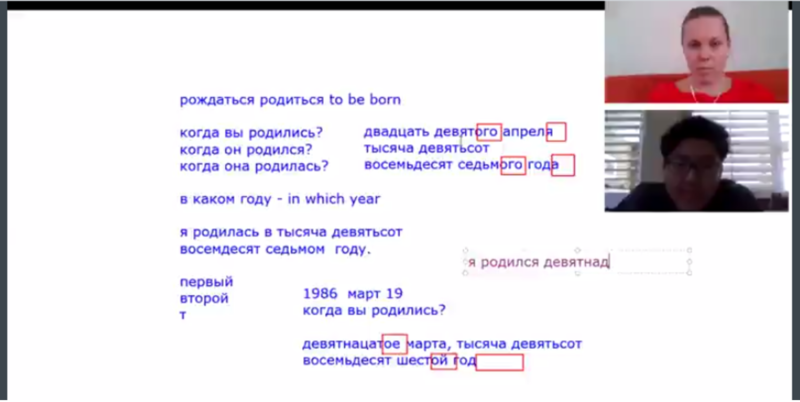 They are meant for Russian Language students at any skill level. Feel free to invite your friends and have fun learning Russian together! We offer flexible pricing for groups as well as generous discounts for referrals. We also offe r Russian Art and Russian History Classes, which help you further immerse into Russian culture. Every course lasts 10 -12 weeks (based on one study session a week for 1 hour 30 min). When you complete one level you will be promoted to the next one. You can schedule as many classes as you need per week (depending on your goals).